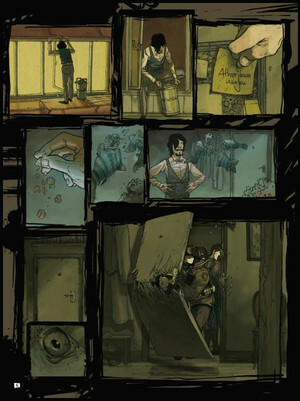 One of my German readers sends in news of this trailer for a German steampunk comic. I’d love to tell you more about it than just what this trailer shows, but I forgot most of my German when I was frozen in the Antarctic after world war two. Sorry. There’s a link to more panels over here. I think this is the artist behind the comic over at felix-mertikat.de.